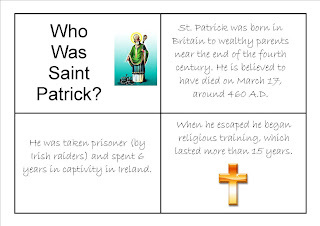 St Patrick's Day Printable: Who Was St Patrick? This six page mini booklet is all about St Patrick the man. Once again the download includes four different versions of the booklet so that you can complete it in any way you wish.